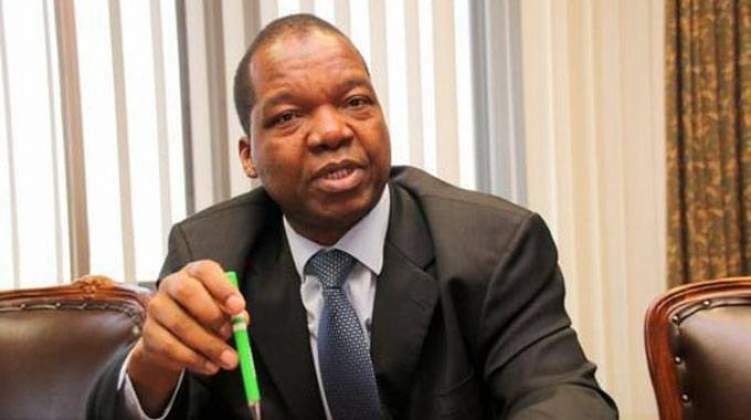 RESERVE Bank of Zimbabwe governor John Mangudya on Thursday told Parliament that blending of ethanol with fuel has been saving the country millions of dollars. Mangudya had appeared before the Joel Gabbuza-led Parliamentary Portfolio Committee on Energy, together with Energy minister Joram Gumbo, to speak on the fuel situation in the country when MPs asked him to explain if there was enough ethanol in the country to supplement fuel imports. Last year, government increased the mandatory blending ratio of unleaded petrol from 15% ethanol to 20% following a significant improvement in the supply of ethanol from GreenFuel. "Our fuel consumption patterns have been such that if we were to consume 50 million litres of fuel, we would mix it with ethanol and, therefore, make savings of about $10 million because we have 20% ethanol going into fuel," Mangudya said. Energy ministry secretary Gloria Magombo, who also appeared before the committee, was asked to explain if ethanol production will in any way alleviate fuel shortages in the country. Magombo said, while ethanol gave substitution for the amount of petrol consumed in the country, there was, however, a shortage of sugarcane during this season which also affected fuel supplies. "We have import substitution for petrol when we blend it with ethanol, but during this time of the season we are constrained in terms of supplies of ethanol which gives us substitution of the amount of petrol consumed because sugar plantations from December to May experience very low production. "However, to allow for constant supplies, we are building additional storage tanks for supplies of sufficient ethanol so that we continue blending. We also have a flat blending rate where government buys extra stock of ethanol, and once we have improved the production it will assist us to ensure energy security in the country," she said. MPs from the Energy committee, however, felt that the ministry was supporting GreenFuel more, on ethanol production, than other sugar producers like Tongaat Hulett. "Ethanol from Chisumbanje is very expensive. Why is it that it is the only supplier supported when there are other players that have better capacity to produce ethanol?" asked Dangamvura Chikanga MP Prosper Mutseyami. Magombo said they got ethanol from Chisumbanje (GreenFuel) as well as other sugar producers like Triangle through Fuel Ethanol Company of Zimbabwe. Chipinge South MP Enock Porusingazi also blasted government for initiating jatropha projects and later failing to sustain them, to assist in fuel production. He said the projects were a waste of money and were now white elephants.